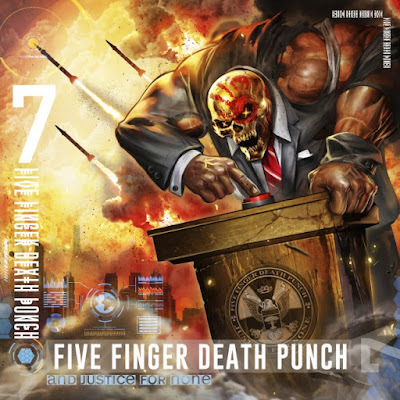 Five Finger Death Punch will release its seventh studio album, "And Justice For None", on May 18. The new album is available for physical pre-order today in the following formats: standard physical CD (13 tracks), deluxe physical CD (13 tracks + 3 bonus tracks + deluxe artwork), Vinyl (13 tracks + 3 bonus tracks + deluxe gatefold artwork). The band is also offering fans a variety of new CD/merchandise bundles. The digital album pre-order for "And Justice For None" will launch on April 6. 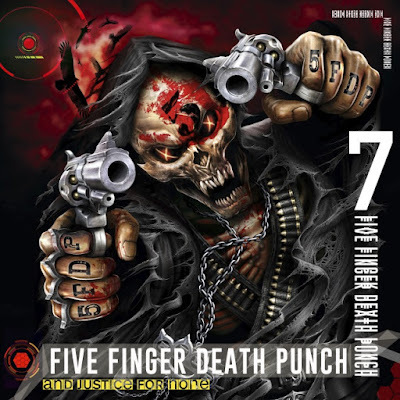 Fans who pre-order the new album will also receive an exclusive ticket pre-sale code for Five Finger Death Punch's just-announced 32-date North American summer co-headlining tour with Breaking Benjamin.